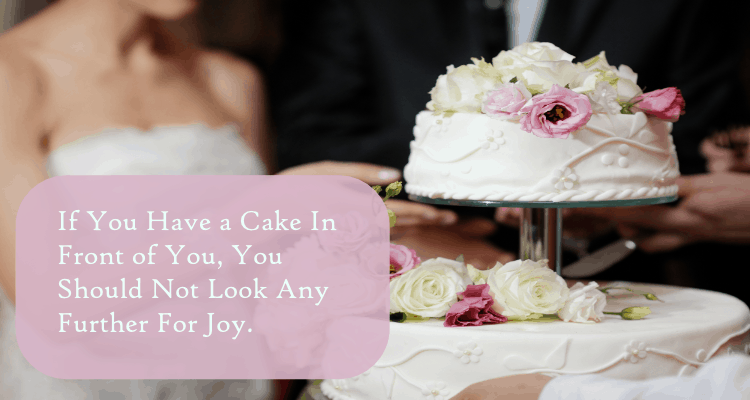 If You Have a Cake In Front of You, You Should Not Look Any Further For Joy. Fancy, schmacy cakery seems all the rage these days and it’s been interesting to watch the baked masterpieces unveiled at the important events. There’s always clapping and the “aahhhh, oooh”-ing that would accompany any great piece of art being showcased. The sheer complexity of these sweet treats is mindblowing and having something at the wedding reception that would be so dramatic would definitely be something the guests remembered. Of course, luckily for a pair of my old students, they opted for a generic run-of-the-mill plain white wedding cake. While helping the wedding coordinator move the cake to the center of the dance area, an unfortunately clumsy member of the waitstaff tripped and, well, basically landed face first into the baked goodness that traditionally symbolized fertility. He stood up, in slow motion, covered in buttercream frosting having pushed his head down almost all three layers. The yellow cake crumbled and tumbled out of his hair and fell to the ground, getting mashed into the carpet and adding a little extra wax to the dance floor. He was stunned, the collective gasp from the guests was louder than the music, and the bride looked horrified. Time froze and everyone wondered how the celebration would go on. As fortune would have it, three things happened almost immediately that carried the reception glitch from wedding ruiner to joyous celebration. The DJ interrupted his playlist with Brenda Lee’s I’m Sorry. The sudden mood change went from quiet horror to a hearty chuckle, mainly from the grandfathers in the room. Then, the groom found an untouched, untainted section of cake and brought it to his bride. He fed her, she smiled, and then they decided to have a mini food fight which included a few tosses of cake by the tiny ringbearer. After the guests had a good laugh, it seemed the dancing would continue and the merriment was restored. Their savvy wedding coordinator who, upon seeing the cake get demolished, quickly called the local supermarket and ordered every sheet cake they had in stock that was already made. Granted, the cakes said happy birthday, go team, or had generic flowers on them. No one minded; they were just happy to have dessert! Remember that the cake, no matter how splendid or simple, is just one aspect of the whole day. If you let a cake issue spoil your entire reception, you will have missed out on the most important parts: being with friends and family. Save what you can! If only a part of the cake gets goofed, say by your younger cousin starting to eat the frosting when no one is watching, salvage the rest. Not a single person that is your guest will mind; though asking your head table to refrain to ensure there is enough for the other guests is perfectly acceptable. If there is an alternative nearby, send someone to deal with obtaining another dessert. 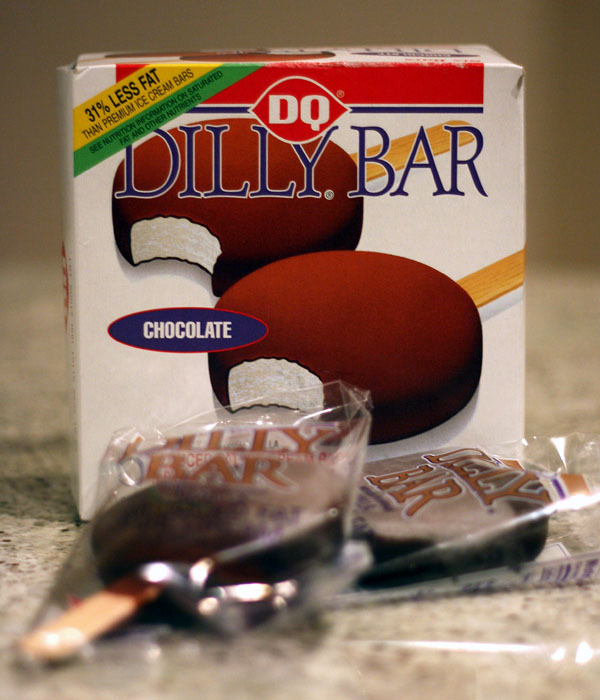 Dilly bars from DQ, cupcakes from the grocery store, or even Little Debbie Snack Cakes all make for a quick replacement in a pinch. Grace. Take deep breaths and remember to deal with this situation with grace and poise. And humor. Anyway you look at it, the cake can be a memorable part of the occasion. 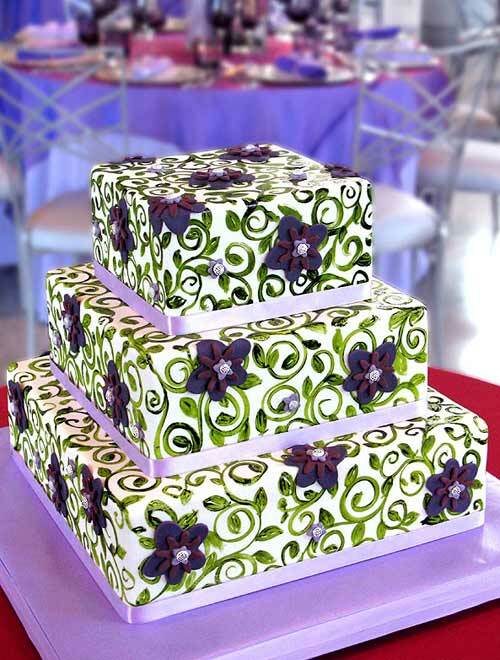 If the cake stays immaculate until it is served, it will memorialized in photos. If the cake ends up having an issue, there will be less cake photos and more of the bride and groom. **title quote from C. Joybell C.